The Mid-Atlantic area endured quite an upheaval during the month of May 1974. 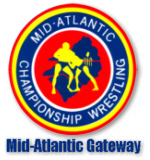 Ivan Koloff became the new Mid-Atlantic Television Champion during the month, and newcomers Ric Flair and Tiger Conway, Jr. entered the territory for the first time. Perhaps the most distressing news in a long while hit the area at the end of the month, when the Super Destroyer collected the $7,500.00 bounty on Bearcat Wright, and Wright’s younger brother, Sonny King, came into the area to avenge his brother’s injury. The “Mad Russian” Ivan Koloff continued on with his winning ways during the month of May, capturing the Mid-Atlantic Television Title from Danny Miller on May 10th at the Richmond Coliseum in Richmond, Virginia. Koloff dominated the Title win in Richmond, and was equally dominant in dispatching Miller in Title rematches at the Dorton Arena in Raleigh, North Carolina on May 14th and at the Scope Exhibition Hall in Norfolk, Virginia on May23rd. May then saw Koloff transition into a red hot feud with “Number One” Paul Jones. Ivan suffered his first noteworthy defeat in the Mid-Atlantic area to Jones, falling to Paul in an exciting arm wrestling contest. After losing this contest, Koloff immediately attacked Jones and things really became hot and heavy between these two. Later in the month, Jones and Koloff battled in a series of rugged bouts. On May 20th in Fayetteville, North Carolina, and then on May 27th in Greenville, South Carolina, the “Russian Bear” emerged with hard fought victories. At the very end of the month, on May 31st in Richmond, both Jones and Koloff were disqualified in one on the wildest brawls that had been seen in some time! Speaking of that May 31st card in Richmond, fans at the Coliseum saw a great newcomer in the main event that night, a newcomer they no doubt wished they had seen for different reasons. Originally, Bearcat Wright was supposed to oppose Johnny Valentine in a 10 Round Fight, with former boxing heavyweight champion Joe Louis as the Special Referee. However, the Super Destroyer collected the $7,500 bounty placed on Bearcat’s head by Johnny Valentine, putting Wright in the hospital with serious injuries. Bearcat’s younger brother, Sonny King, immediately came into the territory seeking revenge against both the Super Destroyer and Johnny Valentine. Initially, King subbed for Bearcat in bouts that Bearcat had signed before his injury. The contest in Richmond certainly saw Johnny Valentine out of his element. King had great boxing skills, and has hitting Johnny with hard shots almost at will. Sonny also had an uncanny ability to duck and dodge punches from Valentine, frustrating Johnny totally! Mercifully, King ended it in the sixth round when he floored Valentine with a thunderous right hand. A very impressive debut for the Mid-Atlantic area’s newest star! New stars were in abundance during the month of May. On May 13th at the Charlotte Coliseum in Charlotte, North Carolina, newcomer Ric Flair debuted in the Mid-Atlantic area. Flair defeated the veteran Abe Jacobs in his first match, and continued to impress during the remainder of the month. And on May 27th in the Greenville Memorial Auditorium in Greenville, South Carolina, Ric teamed up with Rip “The Profile” Hawk for the first time, and the makings of a great tag team combination appeared at hand. Flair and Hawk handily defeated the potent duo of Nelson Royal and Danny Miller in their first bout as partners. Another newcomer who showed plenty of promise in the month of May was Tiger Conway, Jr. Tiger’s first match in the territory was on May 14th at the Township Auditorium in Columbia, South Carolina against Frank Cochran. Conway was successful in his debut match, and much like Flair, Tiger was impressive throughout the remainder of the month. It appeared for all the world that Ric Flair and Tiger Conway, Jr. were set on a collision course from the outset! Mid-Atlantic Heavyweight Champion Johnny Valentine battled Bearcat Wright and Paul Jones in the majority of his singles action during the month. Greenville, South Carolina was a hotbed of action between Valentine and Wright during the month of May. On May 6th, the Greenville fans saw Valentine fall to Wright in a rare pinfall loss, but alas it was in a non-title bout. Wright and Valentine had a re-match in Greenville on May 20th, but this time with the Mid-Atlantic Title on the line, with Johnny prevailing this time in an action packed match. The “rubber match” of sorts occurred in Greenville on May 27th, when Valentine retained his Title against Bearcat by purposely getting himself disqualified. Paul Jones gave Valentine plenty of competition during the month of May as well, particularly in Raleigh, North Carolina. On May 7th at the Dorton Arena, Mr. Number One pinned Valentine cleanly in the middle of the ring in a non-title bout. The two bitter rivals met in Raleigh the next week in a Title Match, with massive Haystacks Calhoun as the Special Referee. Jones again got the better of the action, but Valentine escaped with his belt by getting intentionally disqualified. In addition to an active singles month in May, Paul Jones also maintained his status as one-half of the Mid-Atlantic Tag Team Champions with Bob Bruggers. Rip Hawk was particularly active in trying to take down the Jones/Bruggers duo. Hawk teamed up with massive Chuck O’Connor to battle the Champions in Lynchburg, Virginia on May 3rd, and then again in Charlotte, North Carolina on May 13th. On both occasions, Jones and Bruggers emerged with their belts intact. The “Profile” also enlisted the help of Ivan Koloff to try and upend the Champions. That pairing didn’t work either, as Bruggers and Jones prevailed in Fayetteville, North Carolina on May 6th, and then again in Richmond, Virginia on May 17th. The mega program between the Super Destroyer and big Swede Hanson continued in full force during the month of May. During May, the two bitter rivals squared off in Chain Matches, Fence Matches, Texas Death Matches, Lumberjack Matches and Two Referee Matches! The Super D. seemed to perform better in Fence Matches, winning outright inside the fence in Roanoke, Virginia on May 4th and in Greenville on May 13th. The masked man didn’t fare as well in some of the other specialty matches, losing by DQ in a Chain Match in Norfolk on May 2nd, having a similar finish in Winston-Salem, North Carolina in a Texas Death match on May 23rd and again falling by DQ, this time in Raleigh in a Lumberjack Match on May 28th. As this feud continued to go forward, it was amazing that both wrestlers had the strength to keep competing in such brutal and bloody matches! In a precursor of things to come, Indian Chief Wahoo McDaniel visited the Greensboro Coliseum on May 5th to battle old adversary Johnny Valentine. And during May, there was quite a roster shake up with Ric Flair, Tiger Conway and Sonny King entering the area while Bearcat Wright and Haystacks Calhoun departed, which surely meant new and exciting matches. The upcoming summer was shaping up to be VERY hot in the Mid-Atlantic area! 1. Ivan Koloff—The imposing “Russian Bear” won his first championship belt in the Mid-Atlantic area in May, upending the very popular Danny Miller. And Ivan went toe to toe with Paul Jones for much of the rest of the month. 2. Ric Flair---The blonde newcomer from Minnesota came on the scene in May, and immediately started to make waves. Towards the end of the month, Ric began teaming with Rip Hawk in what looked like an imposing pairing of youth and experience. 3. Tiger Conway, Jr.---The athletic youngster from Texas was also a new arrival on the Mid-Atlantic scene in May, and showed a great deal of potential. The bad guys on the roster surely had to pay attention to this young grappler. 1. Bearcat Wright---The big man was having another successful month until the Super Destroyer collected Johnny Valentine’s bounty at the tail end of May. Bearcat was hospitalized, and his younger brother Sonny King arrived in the area to try to inflict similar damage to the Destroyer and Valentine. 2. Danny Miller---Miller lost his Mid-Atlantic Television Title early during the month of May, and was unable to make any headway against Ivan Koloff in his attempts to regain the belt. 3. Johnny Weaver---Johnny continued to be less and less of an impact player on the good guy side of the main event talent ledger during the month of May. Weaver appeared close to slipping into mid-card status by the end of the month.